Solitude is the best resort in the area to dodge the crowds and focus on some serious powder skiing. Unfortunately, there’s no such thing as a locals’ secret mountain resort within an hour of Salt Lake City. With a gun to your head and a wild stretch of the imagination, the only resort that could even come close would be Solitude. 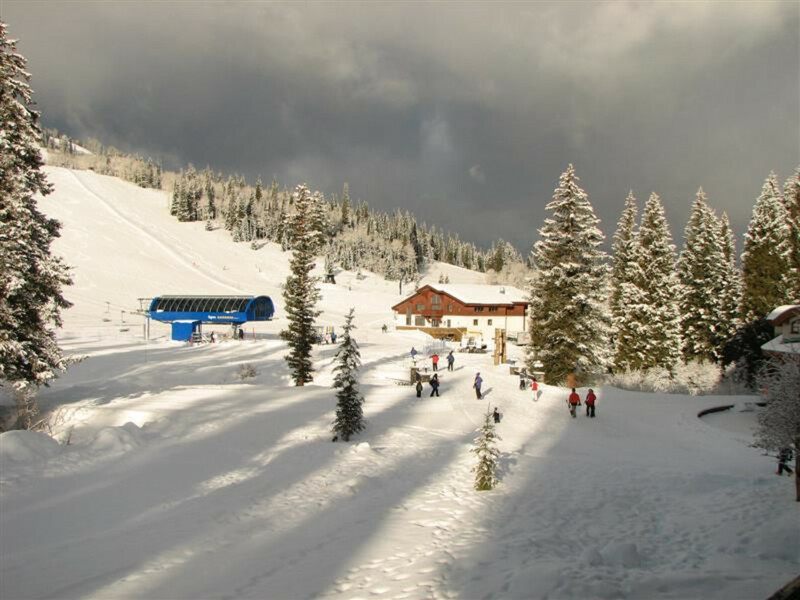 While it’s nowhere near empty during the winter months, it’s certainly much less crowded than Snowbird and Alta, and even noticeably less crowded than Brighton, its higher-up neighbor in Big Cottonwood Canyon. The reason for this is unclear—maybe it’s a marketing thing. Either way, we aren't complaining. Solitude is home to incredible terrain and world-class annual snowfall. 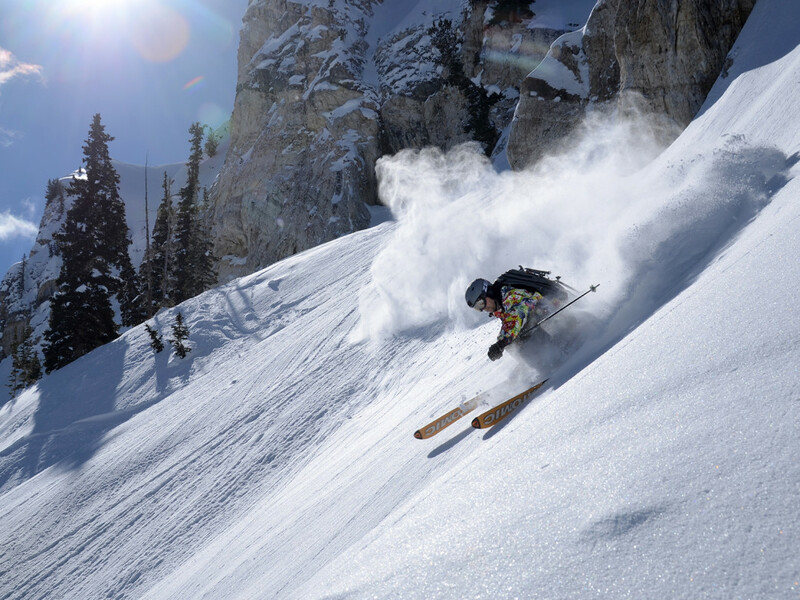 500 inches of Utah’s legendary champagne powder annually plants Solitude squarely in the top 5 on any powder junkie’s bucket list. Also, loads of terrain for skiers of absolutely any ability and some of the least expensive lift tickets in the area are tough to argue with. However, if we had to pick one thing that truly sets Solitude apart, it would have to be the lack of crowds. Dedicated Solitude skiers aren’t even familiar with the term ‘lift line.’ Ski bum translation: loooong powder days. Solitude is located in Big Cottonwood Canyon, about 30 minutes east of Salt Lake City. 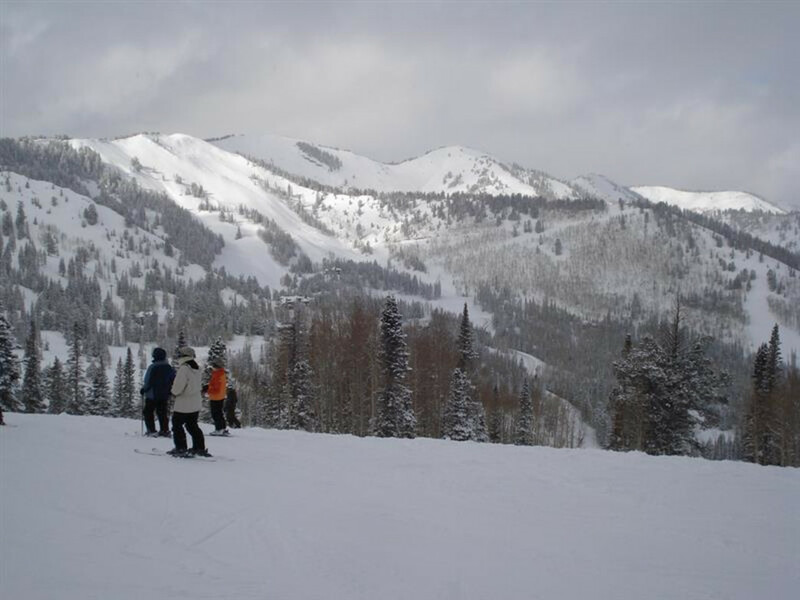 With 64 trails, 1,200 acres and 2,047 feet vertical, Solitude is one of the smaller ski resorts near Salt Lake City. With about 70% beginner or intermediate terrain, it’s a bit more family-friendly than the areas other resorts, as well. Of course, that’s not to say it lacks gnarly terrain. A run through Evergreen or Honeycomb Canyon will leave even the surliest adrenaline junkie with an uncontrollable perms-grin. Solitude is a blast for skiers of every ability level. The beginner-friendly lower mountain is loaded with confidence-building terrain and, of course, there’s a full staff of instructors on hand all day. For folks who like to travel at lower speeds, Solitude also has nearly 20K of trails for both classic and skate-style cross-country skiing, and an additional 10K of well-marked snowshoe trails. All Nordic and snowshoe trails are open from 8:30AM to 4:30PM. There is a large parking lot at the base and a smaller lot at the Village. Parking is free. The lifts run daily from 9AM to 4PM, with the Honeycomb Canyon lift closing at 3:30PM. 12000 Big Cottonwood Canyon Rd.